My Baggage provides easy and affordable student shipping to and from New York City – a perfect solution for international students, those on a year abroad or even those going off to work or travel in the city. If you’re planning a New York City adventure, we can transport your luggage for you. That means one less thing to worry about as you travel! It’s no surprise that New York City is one of the most popular destinations for students who choose to take a year abroad as part of their degree. International students who choose to study in New York can expect to live in one of the world’s busiest and most exciting states. With more than 70 private universities in the state and two Ivy League colleges (the only state to have more than one), New York State is a great place to be an international student. Spending a year in New York City is a great way to broaden your horizons. You’ll get the opportunity to embrace a new, independent way of life as well as get the chance to network with all kinds of people, as a result giving you international career options to consider after graduation. My Baggage provides quick and efficient international student shipping to NYC. We offer a convenient door-to-door service, meaning we’ll collect your items and deliver them straight to where they need to go. Travelling to New York City with a lot of luggage can be incredibly expensive – particularly if you are moving there as a student, or if you are going there to work. Airline baggage charges certainly aren’t cheap, and the weight restrictions simply won’t work considering the amount of belongings you’ll need to bring with you. My Baggage offers a fantastic alternative to airline baggage. It’s cheaper and more convenient – there’s no need to check-in any bags, no waiting around at luggage carousels and certainly no need to carry heavy suitcases around with you. 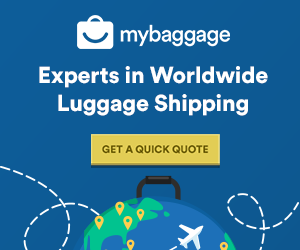 Simply book and pay for your shipment online with My Baggage and we’ll take care of the rest. We’ll provide you with full online tracking as well as SMS and email notifications to keep you up to date with the whereabouts of your shipment whilst it’s in transit. And if you have any questions or concerns, we have a dedicated customer service team who would be happy to help via phone, email and live chat. At My Baggage, we understand that when you move to New York City, the very last thing you want is to wait around for your luggage to arrive – especially if you have all of your essentials packed away in your suitcase. Thankfully, that’s why we offer super fast luggage delivery times of 3-5 days to New York City. We also offer an express delivery time of 1-2 days – so you won’t have to wait long for your luggage to arrive with you safe and sound. 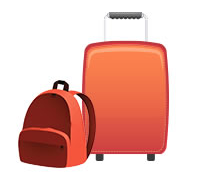 With My Baggage, international student shipping rates are much cheaper than alternative options. We offer a generous 30kg weight allowance per item, so you’ll have the freedom to bring everything you need at a great price. Many of the My Baggage team have traveled and studied abroad, so we understand that moving overseas is an expensive process. That’s why we make it a priority that our prices fit a student budget.